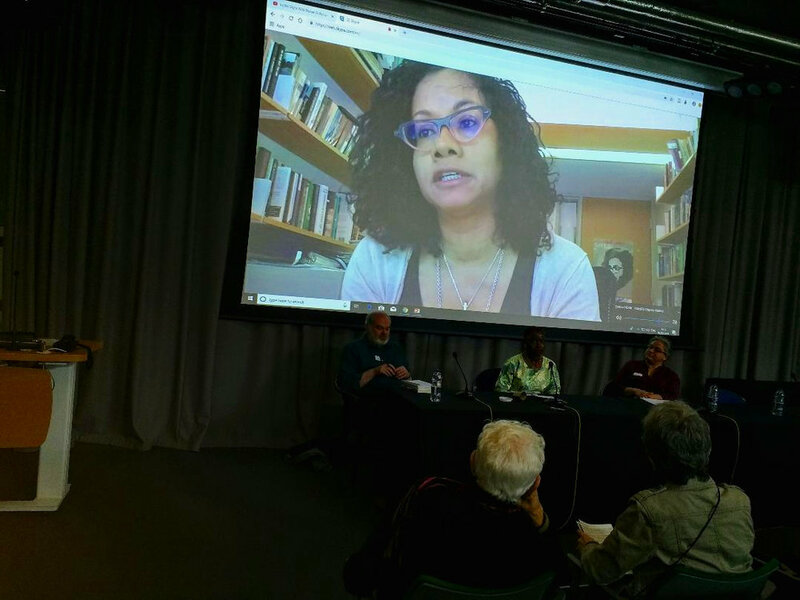 J L Samboma reports from the Walter Rodney Conference that took place this month at London’s School of Oriental and African Studies (SOAS). Walter Rodney’s How Europe Underdeveloped Africa had a profound influence on my ideological development growing up in Sierra Leone. It exposed neocolonialism as a process of active, ongoing underdevelopment, a process with an historical starting point and an end, ie a motive, which is the theft of Africa’s labour and material resources for the development of Europe and North America. Although I have re-read it on many occasions since then, I must admit that I have not paid this great teacher the proper attention he deserves. So when I learned of a one-day conference on the work of the slain Marxist and Pan-Afrikanist, I knew that I would be there, if for no other reason than to plug the gaps in my knowledge about Rodney. I recalled the words of that other great African freedom-fighter, Amilcar Cabral, who implored us to “never stop learning”. 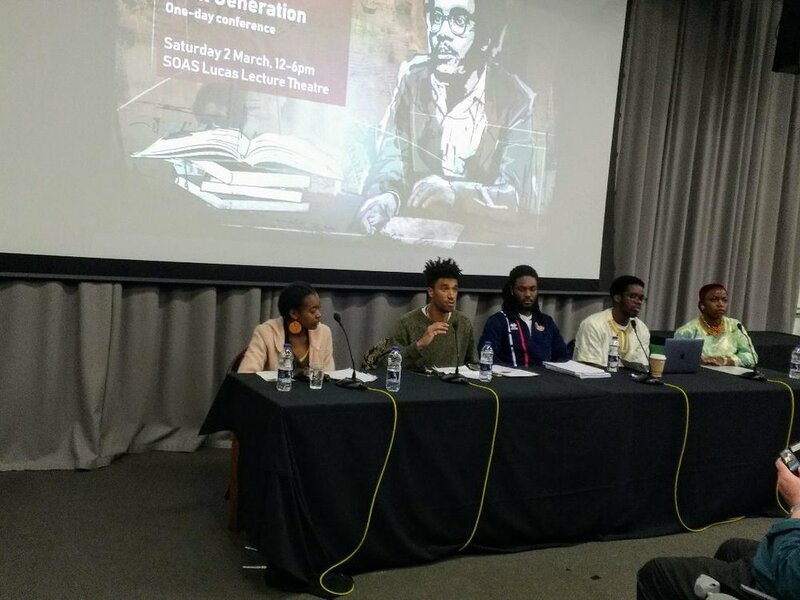 The conference, which took place earlier this month at London’s School of Oriental and African Studies, or SOAS, was billed as “Walter Rodney : Pan-Afrikanism, Marxism and the Next Generation”. It was organised by Decolonising Our Minds of SOAS, in association with Kingston University Politics. A press statement from Donald Rodney, Walter’s brother, was read out before the commencement of proceedings. Donald Rodney reiterated that his wrongful conviction for the explosion that caused the death of his brother in 1980, was based on a “fictitious confession” – a fact which been reported by even the state-owned national newspaper. His appeal and the campaign to seek the truth about Walter’s assassination will continue, he said. You only have to look at the life he led, she said, for you to realise that we need to know and learn more about him. This is because the turbulent times in which he lived have not gone away, but remain with us, and have even intensified. One of the things that she remembers most vividly about the slain Guyanese revolutionary was his clarity: “We were in awe of his his clarity. Walter was very clear about who the enemy was”. 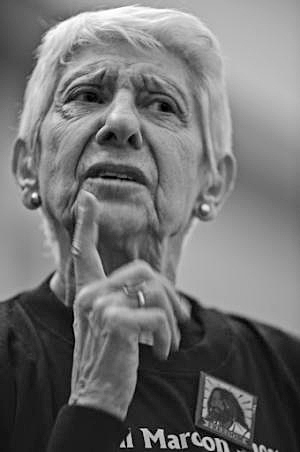 The “red thread” of Rodney’s thought was running through their organisation which, she said, was a testament to multi-racial unity, not just between African and Indian women, but also including indigenous women. She recalled how these women became actively involved in miners’ strikes in Guyana: “Women were very visible in organising against this oppression; facing armed police to release bauxite workers. They were making connections between everyday struggles and women’s lives”. Trotz said this was a clear reflection of the truth in Rodney’s words about ordinary people as the catalysts of revolution. “The revolution”, she said, “ is not made by angels but by ordinary people, by all whose labour help communities survive, by the working class – and women are an essential part of the working class”. Next to speak was Amanda Latimer, an anthropologist and lecturer in political economy at Kingston University. Latimer is also an indefatigable campaigner against the neocolonial oil exploration deal Guyana has signed with a multinational consortium led by ExxonMobil. It was not surprising that her subject was: “Hit-and-run Capitalism in Guyana’s Oil Sector”. Rodney’s contribution, Latimer said, was important in the context of what is happening now, precisely because he saw that “briefcase independence” – when the former colonies gained formal independence – was the beginning of neocolonialism. “He insisted on putting class formation on an international plane,” she said. “He insisted that capitalist development in the age of imperialism was a continuation of what had gone on before independence…National capital allies with imperialism”. This continuing imperialist exploitation, she maintained, can be seen in the oil deal which the neocolonial leaders of Guyana have signed with ExxonMobil. Twelve off-shore oil fields, estimated to hold three to four billion barrels of oil, had been discovered, she said, but the “neocolonial profit-sharing agreement shows that the vast majority of the profits will go to the Exxon consortium”. Some estimates say close to 90% of the value of crude oil sold will go to the multinationals. “Rodney was a specific kind of Marxist, a Pan-Afrikanist,” Latimer added. “And as Rodney asked, is development even possible for Guyana within the present global system?…All we see is divide and conquer between the African and the Indian in Guyana, and between regional partners, such as Guyana and Venezuela”. Perhaps we should note in passing this dialectic of imperialist exploitation whereby the IMF – the premier neocolonial appendage for siphoning-off wealth from the “poor” to the “rich” nations – are the very ones who forced the so-called nationalist government to divulge the dirty little secret that they had sold their own people down a river chockful of kickbacks! The third and final panelist to speak during this first part of the conference was Andy Higginbottom, an international solidarity campaigner for movements in Colombia, South Africa and Tamil Eelam. 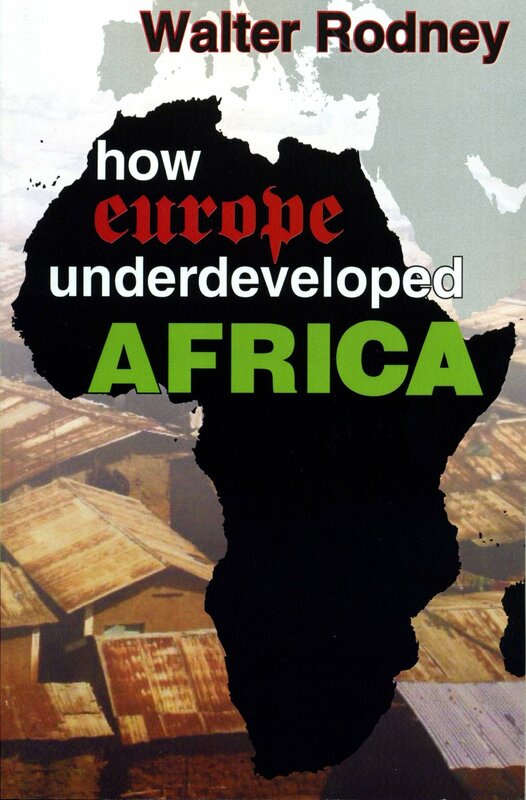 His contribution was an Introduction to Rodney’s most famous work, How Europe Underdeveloped Africa. Dr Higginbottom, who also teaches politics at Kingston University, began by defining neocolonialism as “a relation between the oppressed and the oppressors of the world”, adding that anti-imperialist unity was necessary if that relation is to be shattered. In How Europe Underdeveloped Africa, Dr Higginbottom went on, Rodney demolished several myths, among which was the fabrication that slavery was endemic in African societies and that Europeans did not benefit from late colonialism. Rodney, he said, showed that the “slavery” that was practiced in parts of Africa was essentially different to European chattel slavery, which was “a direct consequence of European capitalist expansion”. Wow! Intriguing, I said to myself. As someone who has had interminable “discussions” with “non-African” comrades on both sides of the Atlantic about their, shall we say “unhelpful”, positions on Pan-Afrikanism and Black Nationalism, Higginbottom’s last remark was unique for a British Marxist, and definitely a bolt from the red. Definitely another learning experience! It was refreshing to come across a white member of the British Left who did not subscribe to their general position on Pan-Afrikanism and Black Nationalism. Okoth mentioned that Rodney was also an author of children’s books. It is just possible that this information may have gone missing in the recesses of my subconscious, but I am positive it was “new knowledge”. Anyhoo, it makes no difference if I ever knew it, for I re-learned it at that conference that very day. However, back to Okoth: “Late in his life he published children’s books, to enable children to understand themselves and others. It showed the importance he attached to teaching kids early about their origins, presenting historical knowledge in a way even a child could understand”. Here, again, we come across Rodney’s ability to render the most abstruse issues into terms everyone can grasp. The first speaker from the student panel was Sidi Abale, who had chaired the earlier session. Her topic was “Reflecting on Neocolonialism in Nigeria and the Criminalization of Migrants in the UK”. She defined neocolonialism as the situation where nominally independent former colonies like Nigeria celebrate their “independence” every year, but their policies are nevertheless formulated by Western countries. On the scapegoating of migrants in Britain, she said that the whole situation was caused by the neocolonial system Britain itself created, which has impoverished our countries and resulted in migrants coming to the UK. “It is the consequence of their own policies,” Abale charged, to rapturous applause. This was sublime stuff, neocolonialism and migration expressed as opposite poles of the same relation. Dang, this is one event we are happy we attended. Next! That was Kevon Jones, of Kings College London, on “Walter and the Question of Power”. Jones argued that the next generation of Pan-Afrikanists must study the works of Walter Rodney and “develop it for our times”, just as he built on the works of those who came before him, like Marx, Lenin, CLR James, Nkrumah and other fighters. That, Jones maintained, was the only way Pan-Afrikanists can win power and develop the African homeland. “Young people should study revolutions, from the Russian Revolution, the Haitian Revolution, etc… Walter said the masses of the people are the backbone and they alone can make a revolution successful”. The final speaker on the student panel was Lavinya Stennet, a SOAS undergraduate who reads Development and African Studies. She is the founder of The Black Curriculum, an activist group seeking to teach black history to black kids. And that was precisely her topic. 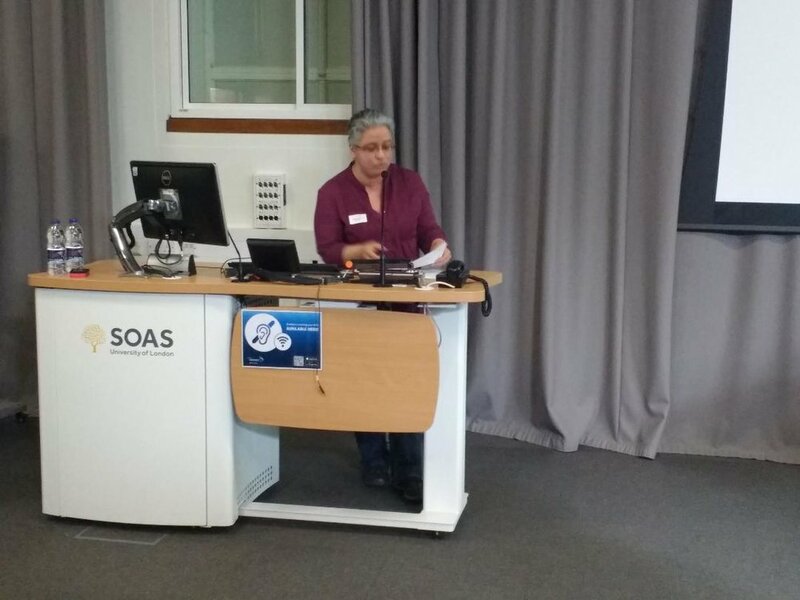 She argued forcefully – and persuasively – that the structure of formal education in the UK is colonial and neocolonial. Her group, she said, will be researching and spearheading initiatives to enable black pupils and students to “renew” their minds: “We need to give students the practical tools to re-imagine our future, and to go out and change the world”. That was another rallying cry which did not fail to raise temperatures in the hall. Here again, we will mention in passing, we were able to learn something: that the neocolonial system of education imposed on African kids in the UK has incensed young people to the extent that some of them are organising to do something about it. And, while we’re at it, we might also observe that the current curriculum could also be sowing “unhelpful attitudes” in white students, which could be “reinforced” in later years – along the lines of a self-perpetuating system. But we digress! The closing address of the day was delivered by David Austin, who was introduced by Chris Ogunlana. Austin is a youth worker in Canada and author of, among other titles, Moving against the System: the 1968 Congress of Black Writers and the Making of Global Consciousness. Austin said he almost enrolled at SOAS, but was deterred by the fact that Rodney was not on their reading lists: “They said Rodney was too biased to be considered serious intellectual work”. 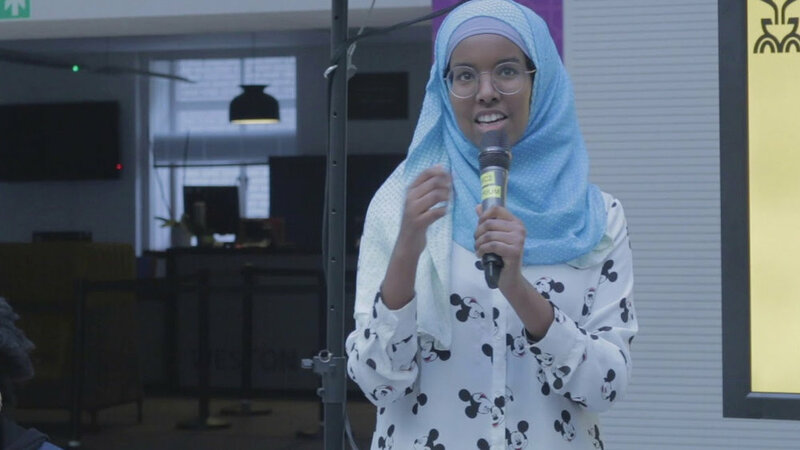 · That young people are organising to challenge the UK’s neocolonial education system. We will also take the opportunity to rectify for the record one claim made at the conference that Rodney was a believer in Tanzania leader Julius Nyrere’s “African socialism”. It is well-known that Rodney spent time in Tanzania in the late 1960s and 1970s, both as a University teacher and as an activist. I would agree that Tanzania was indeed a sort of “finishing school” for Rodney, but not because he subscribed to Nyrere’s so-called “African socialism”, self-reliance or self-help as embodied in the President’s “Ujaama” ideology. This was the essentially “naïve” position of Nyrere and his fellow travellers that Africa, or Tanzania at any rate, could – because of a communalist past – “bypass capitalism and move straight to socialism”. But it was precisely because Walter Rodney disagreed with this ahistorical, unscientific position that Tanzania became his finishing school. 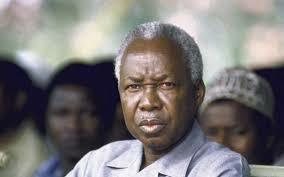 It is my position that the practice and experience of Tanzania served to reinforce his belief that Pan-Afrikanism was the only way forward for Africa – that individual African countries could not achieve development as neocolonial mini-states and, further, that the class struggle was the locomotive on which we would arrive at the socialist Union of African States. That position was diametrically opposite to Nyrere’s. The latter believed that Tanzania could achieve socialism in his mini-state fiefdom in top-down fashion, through abolishing the class struggle by fiat! That is where he and Rodney part company. The scope of this article will not allow us to further develop this theme, but we hope to return to it at some point. This report was also published by Pambazuka News.